That says tweaking not twerking people! So you may have noticed that my blog is wearing a new little outfit today. I just use blogger with a background from ShabbyBlogs.com and I've used one called "Zen and Now"pretty much from the start. Then last Thursday I logged on and the background was gone, link broken. I go to Shabby Blogs and the website is down, but the blog had a post from a few days before stating Shabby Blogs was for sale. I figured someone had bought it and shut down the website for whatever reason and who knows how long. 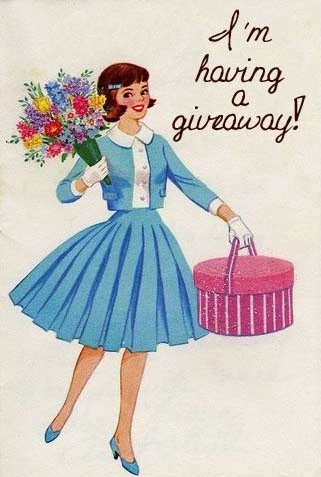 Meanwhile, it was the first day of the "Spring Fling" Giveaway and I couldn't very well have my blog be naked. So, I found a new background on a different website, but I had to change my Blogger template and while it was cute enough, it just didn't feel like it was me. So, last night I went back to Shabby Blogs looking for clues and any signs it was going to be resurrected, and it was back up and running! The for sale post on the blog was gone, and instead was a heart felt post about blogger burn out up instead! That's totally understandable. I was going to go put my background back to "Zen and Now", but then I got thinking that now might be the perfect time to try something new. So I dug around and found this background called "All That Glitters" and while I initially thought it was a little too fancy-pants for my blog, it really grew on me. It's nice and bright and adds a little pizazz without being too distracting. If you're a blogger looking for an easy to install background on Blogger or Wordpress, go check out Shabby Blogs. They're super easy to use and lots to choose from. And from today's blog post, it looks like Meg over there has a lot of new ideas cooking. There's also pictures, buttons, headers, etc. Which is a perfect excuse to share links to the TWO giveaways I currently have going on. 1. Win the Craftsy Artisan Breadmaking Class! 2. Enter to win my bundle of Dover Publications and Smens goodies in the Spring Fling giveaway! And if you have any feedback on my blogs new outfit, let me know. :) Have a great day! Shabby Blogs have lots of cute designs and they are like uber easy to use.